Coasters made of high-fired porcelain. Set includes one of each design shown; each, 4"Dia. 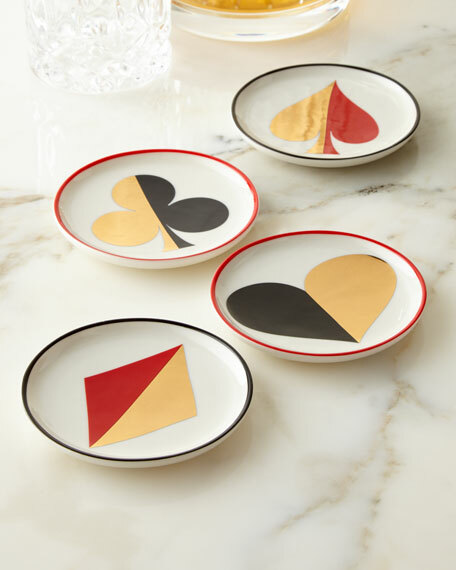 Potter, designer, and author Jonathan Adler launched his namesake brand after leaving his day job to pursue his first love: pottery. Today his offerings span furniture, lighting, home d cor, and more plus countless iconic interior projects-and over 25 stores-all dedicated to bringing Modern American Glamour to your life.